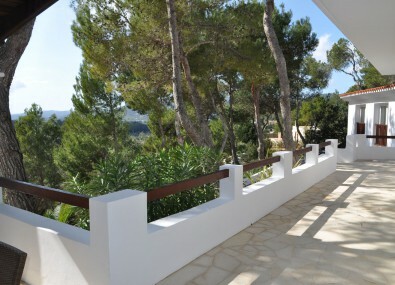 Unforgettable amazing Ibiza Holiday? 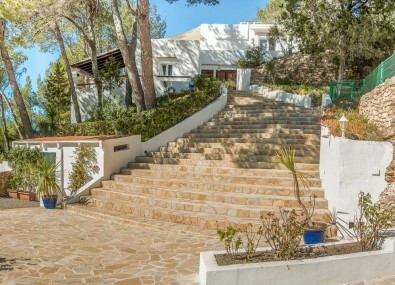 This Ibiza Villa will do it! 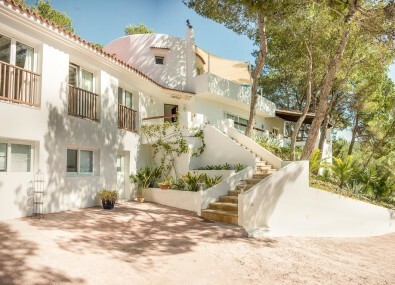 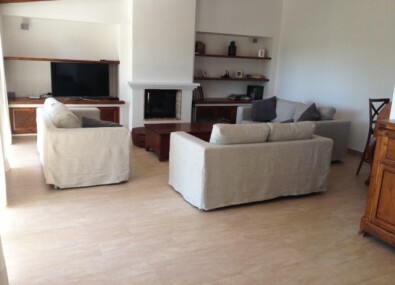 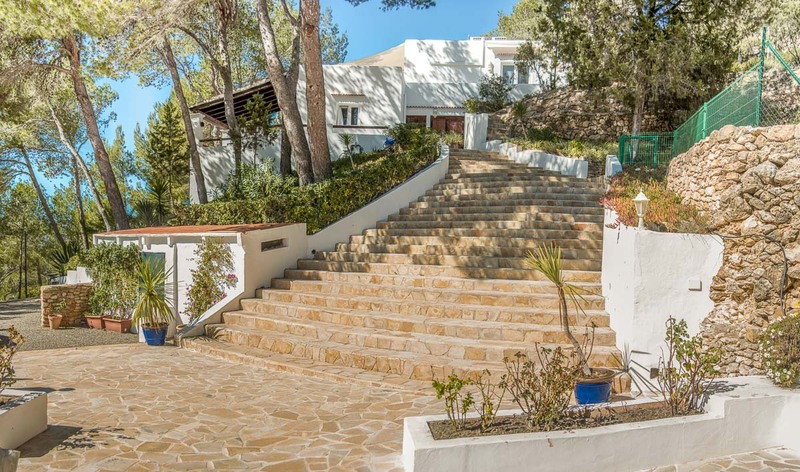 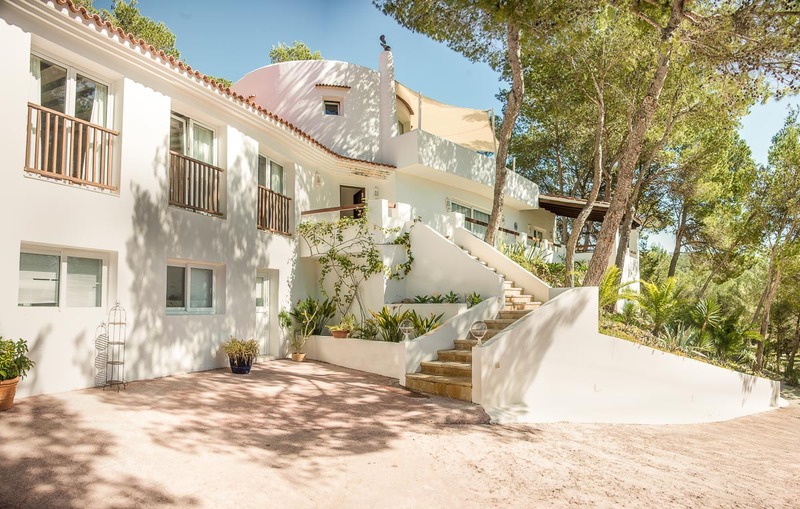 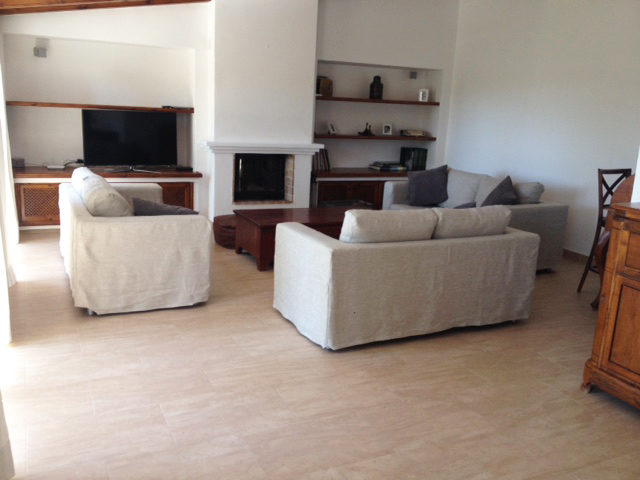 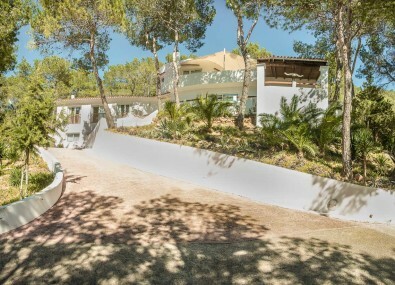 This grand Ibiza Villa to rent is superbly located within a few minutes walking distance from the pretty village of San Carlos. 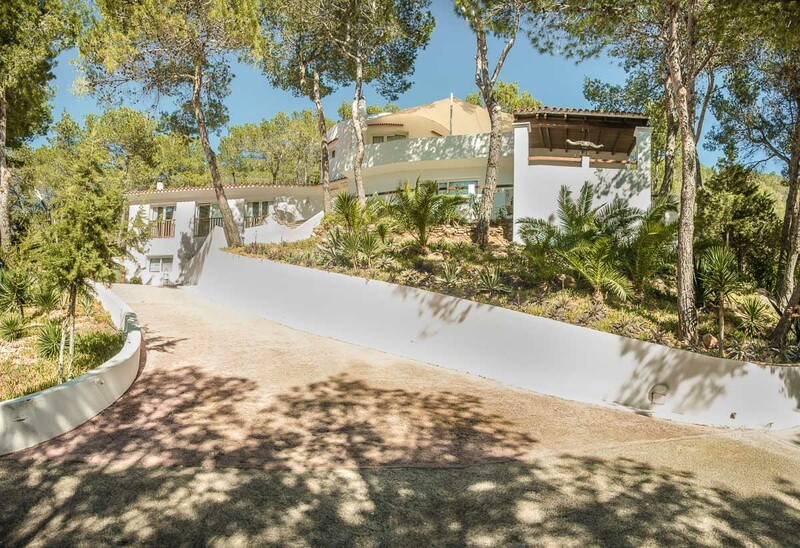 Set out over three levels and 5,000m2 of land, with breathtaking sunset views of San Carlos and the surrounding mountains. 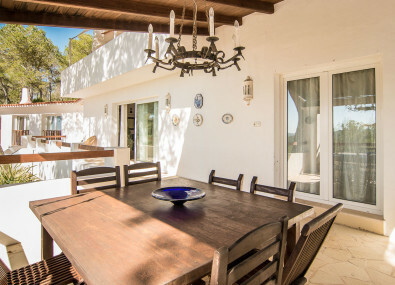 This Ibiza Villa has been luxuriously appointed with great care and attention, ensuring all details throughout this 5 bedroom and 4 bathroom house are perfect, it is no wonder that this is one of our most popular Villas in Ibiza. 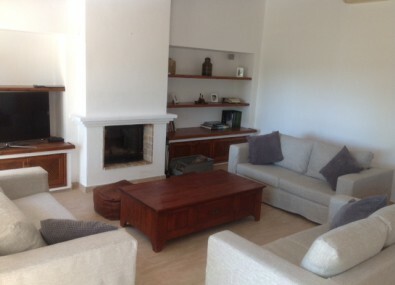 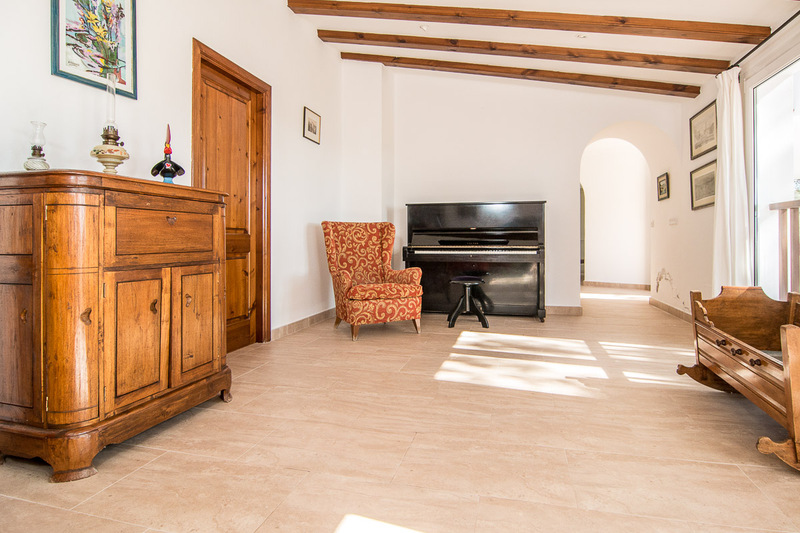 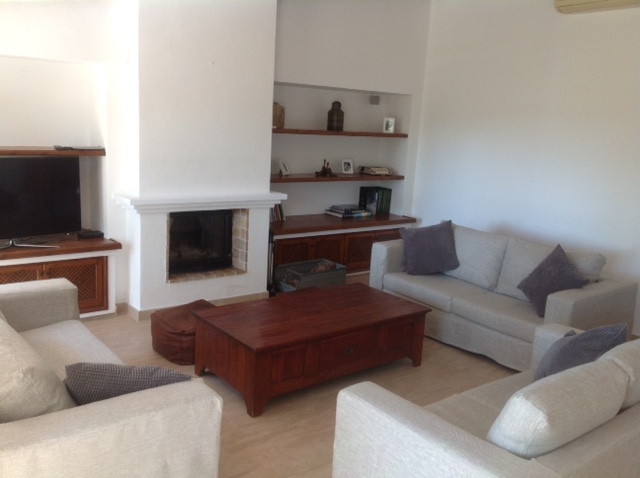 The Ibiza Villa two living areas are opulently furnished, with resplendent red sofas curled around the television and fireplace creating a warm and inviting feel. 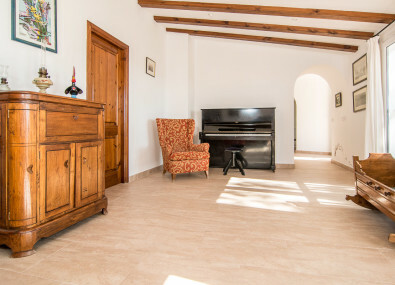 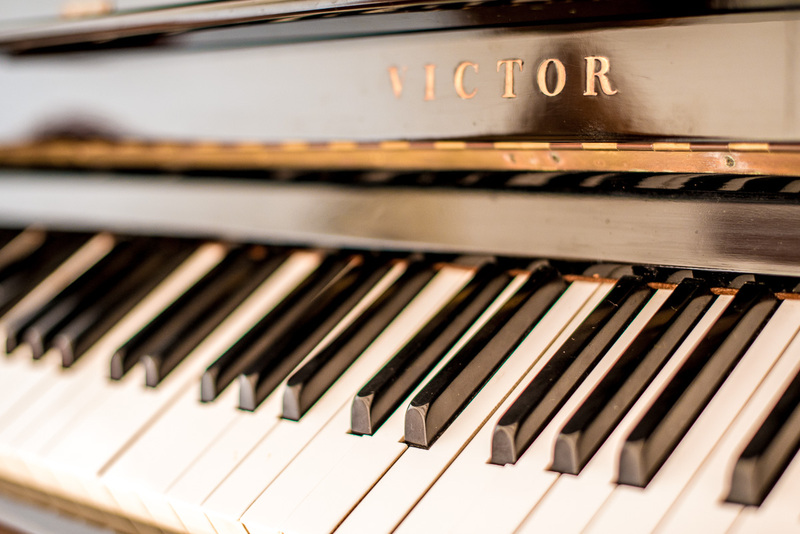 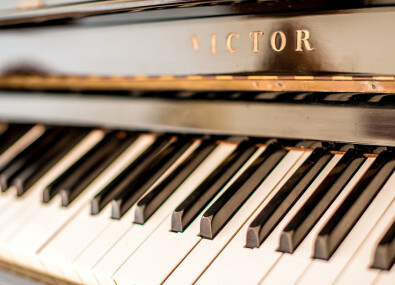 Contemporary artwork and a piano also adorn the area. 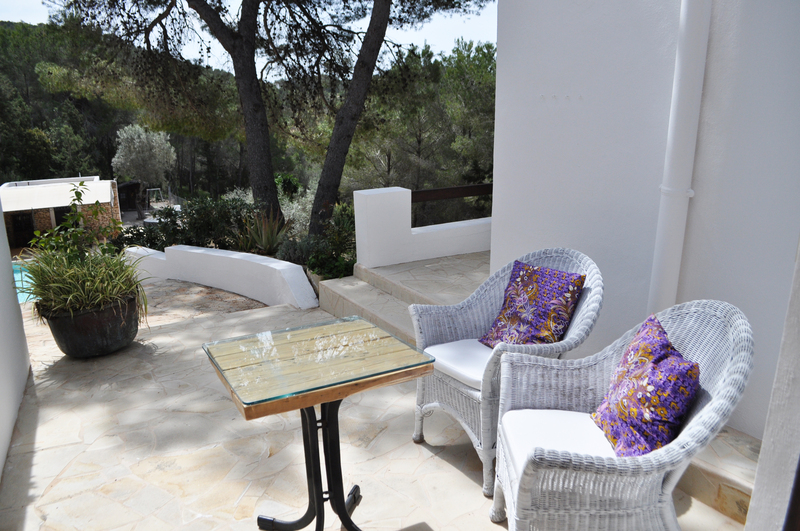 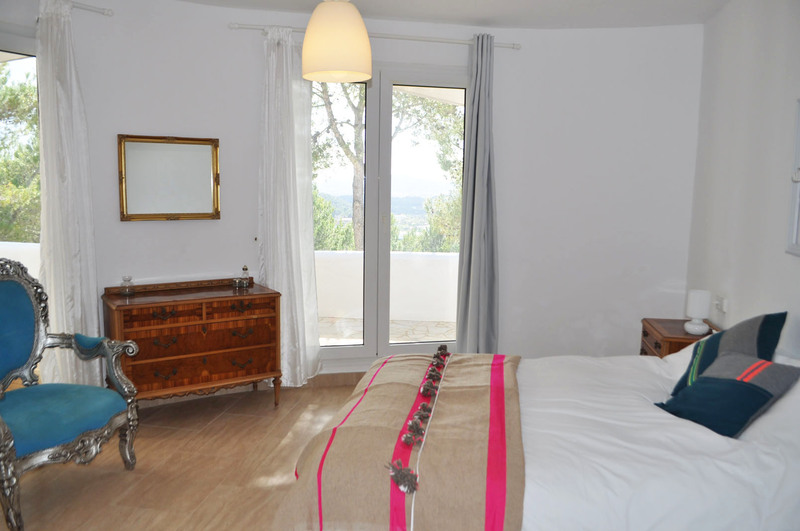 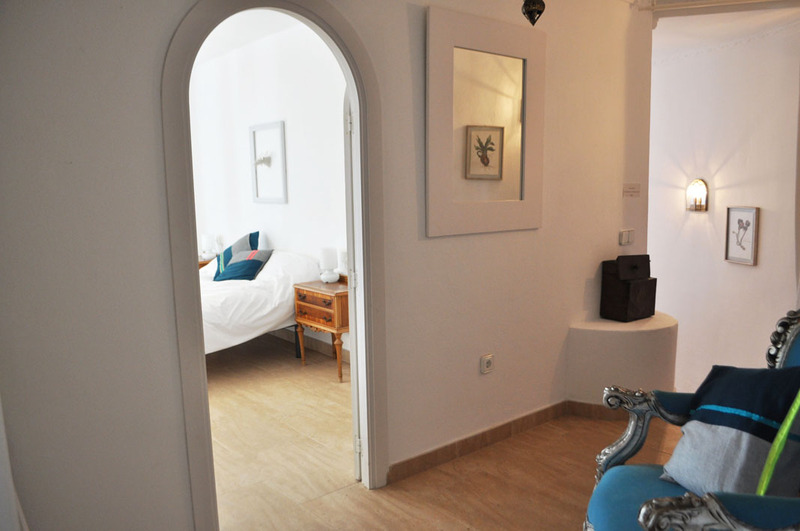 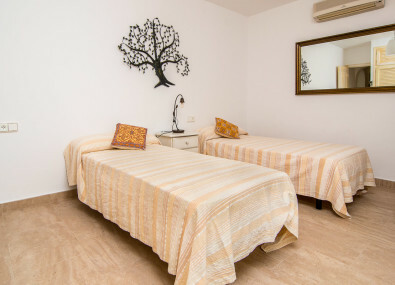 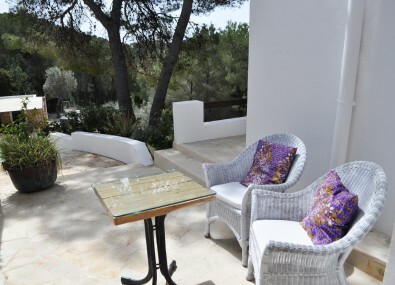 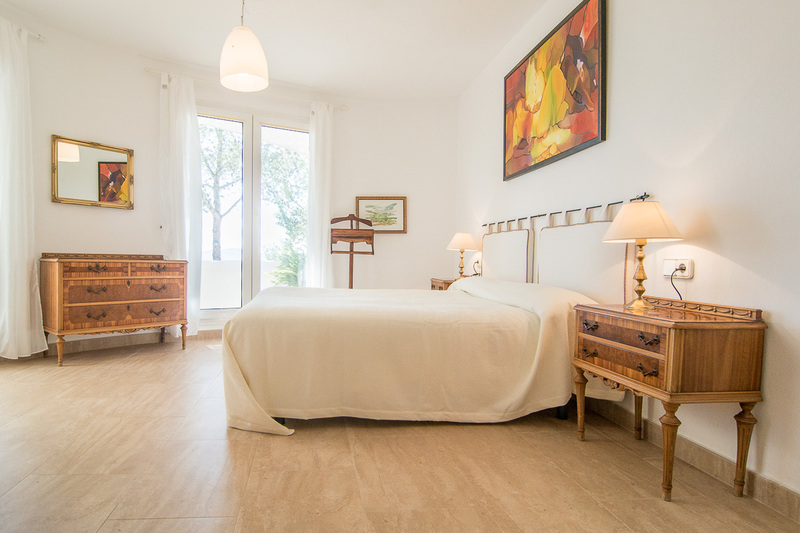 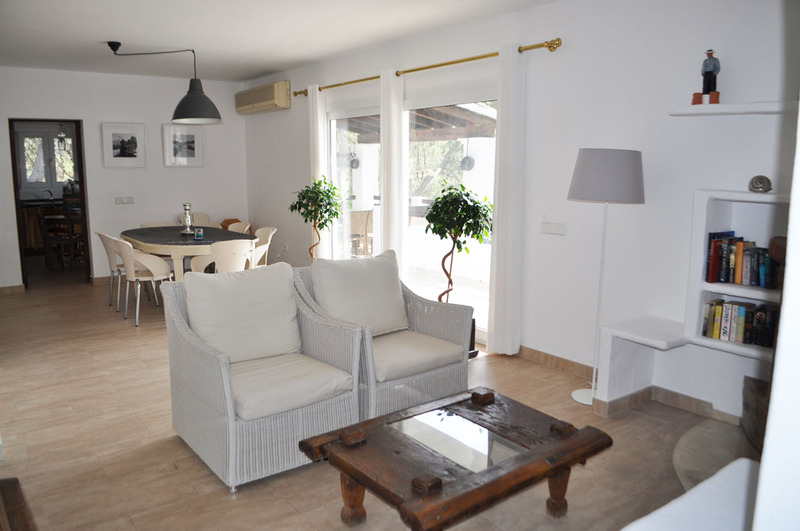 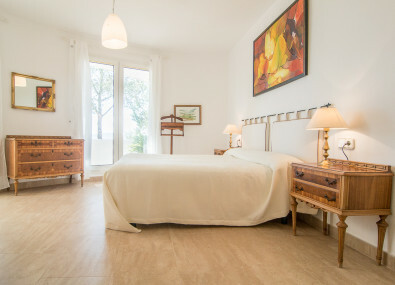 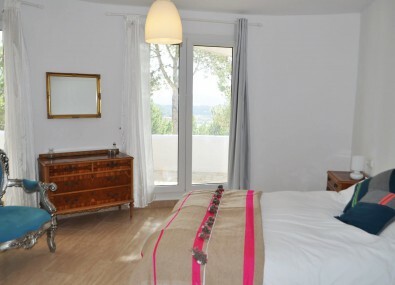 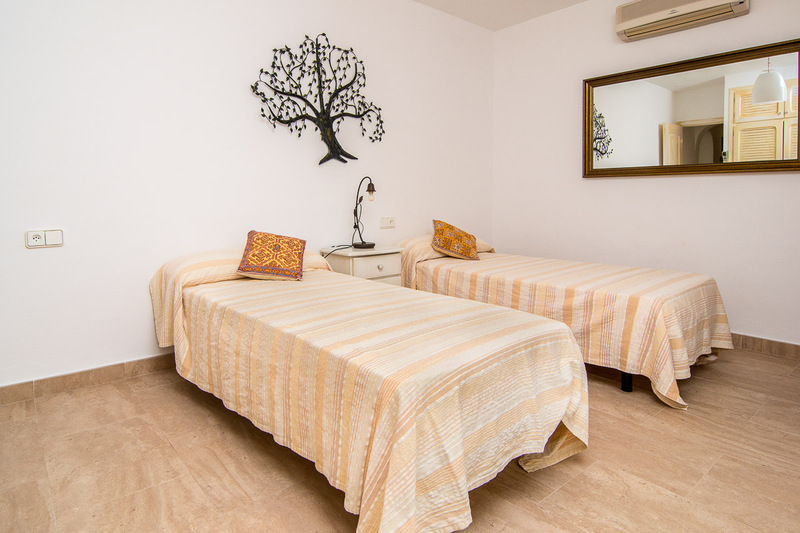 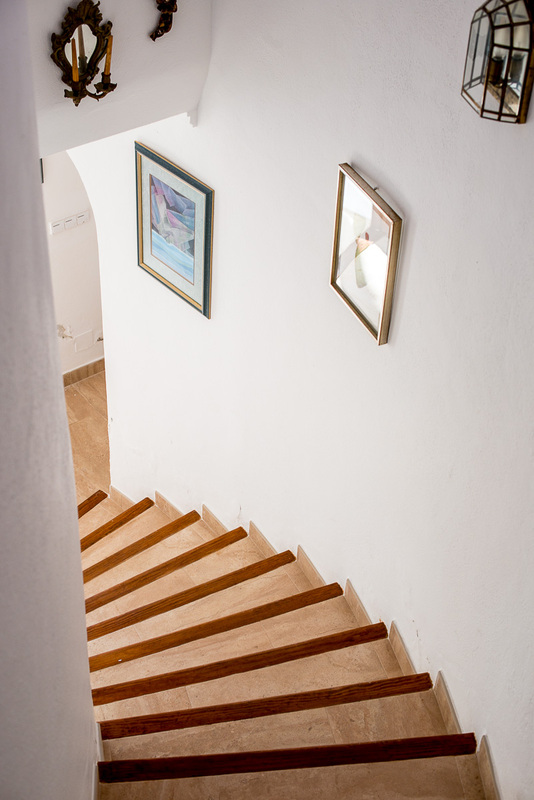 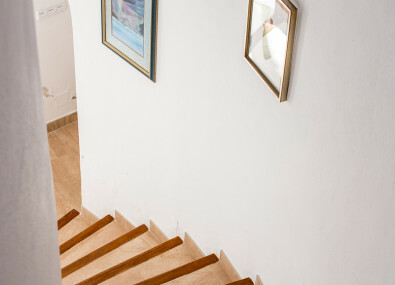 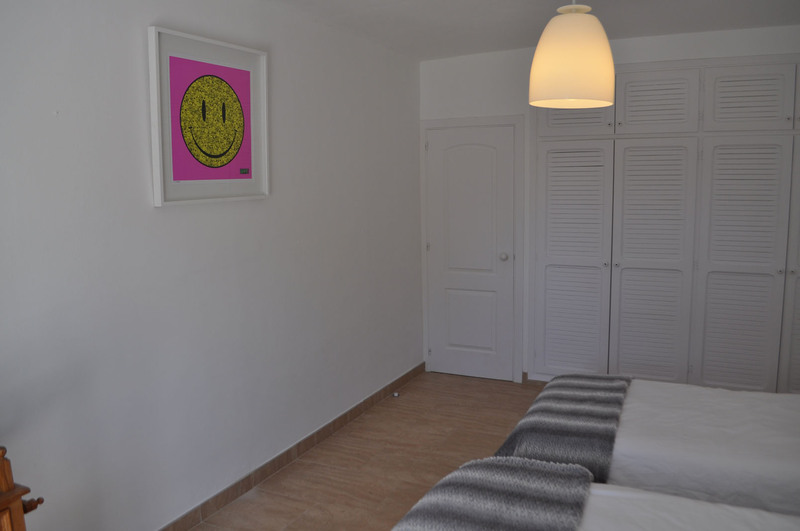 High speed wifi and air-conditioning is available throughout the Ibiza Villa oppulant rooms . 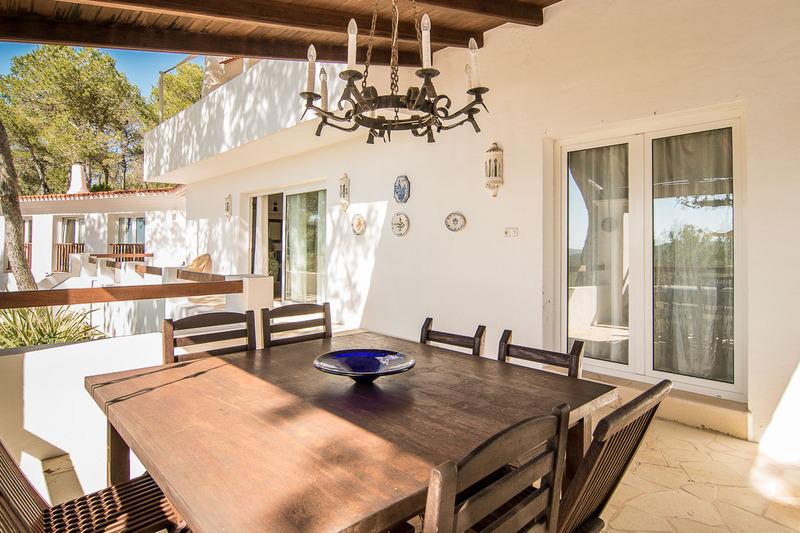 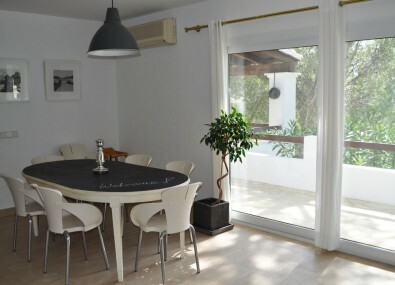 The Ibiza Villa second living space has a traditional style dining table and chairs seating up to 12 people in comfort and offers stunning views over the outdoor areas. 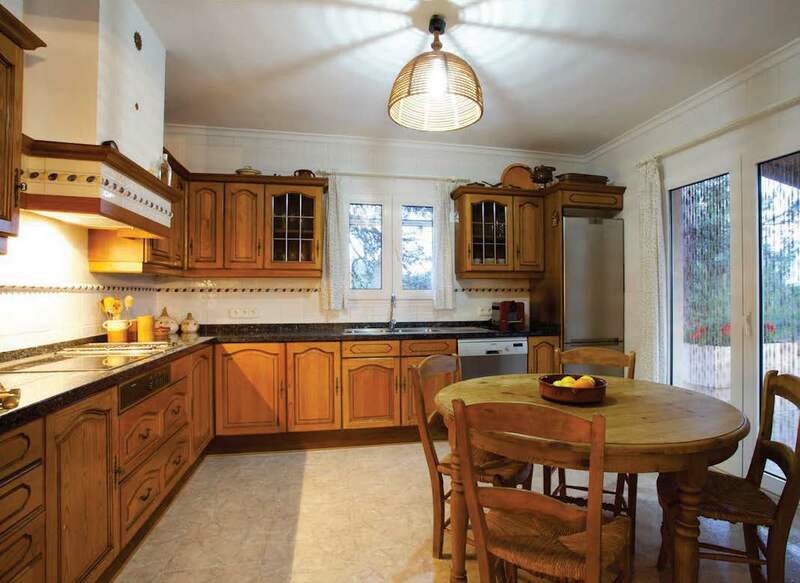 The Villas kitchen is in an artisan wooden style, with granite work surfaces. All appliances are up to date and modern, as you would expect. The kitchen doors open out onto the Villas terrace and large alfresco dining area which is surrounded by a riot of bright red geraniums. 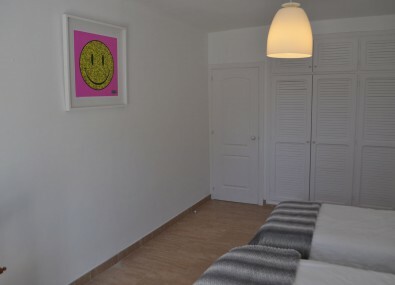 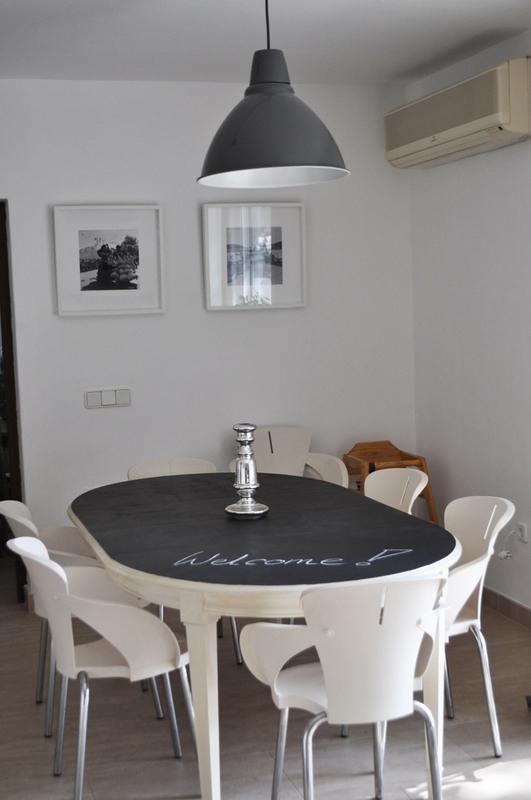 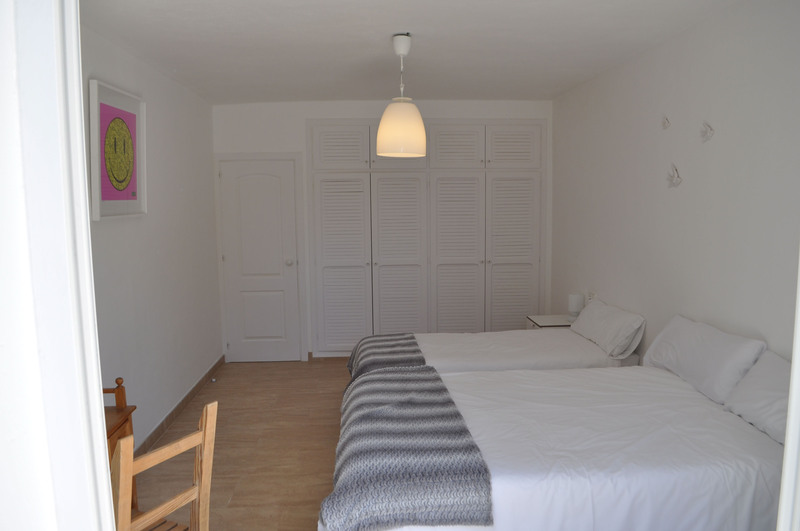 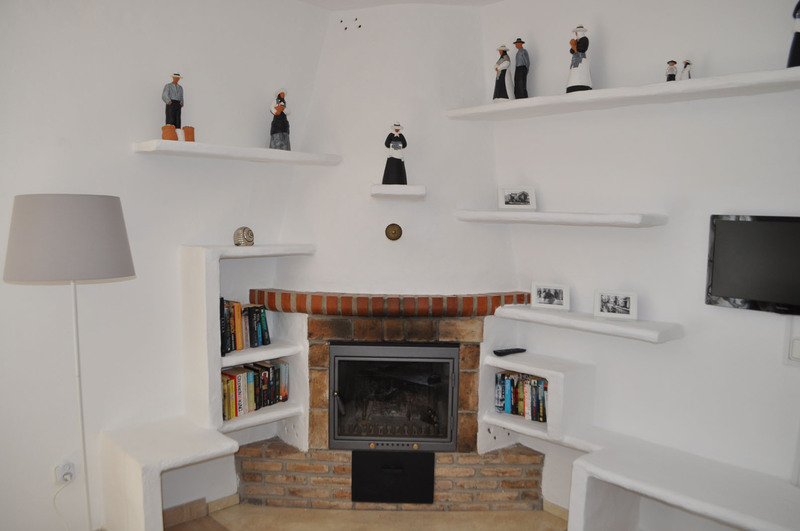 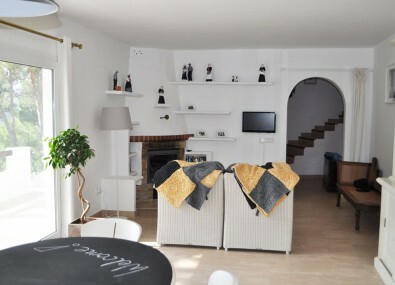 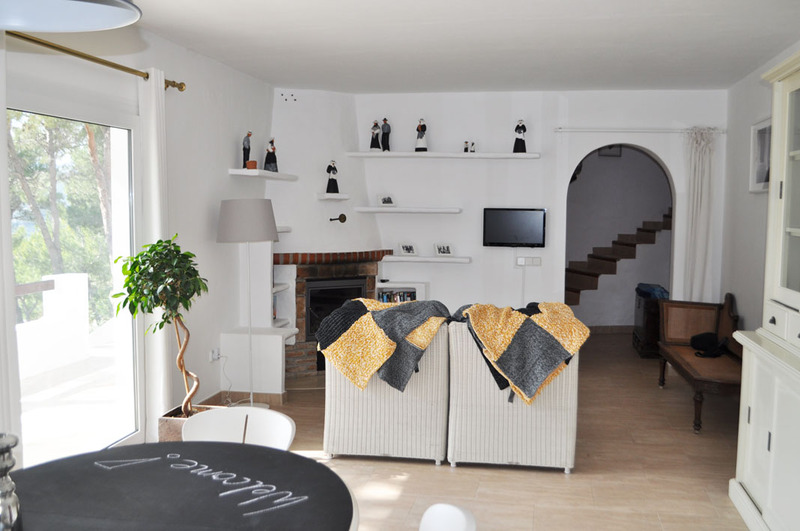 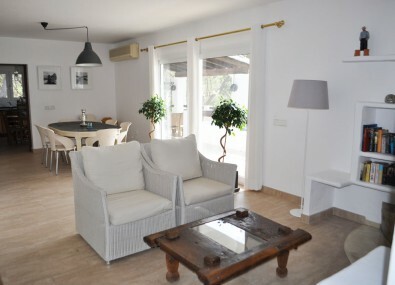 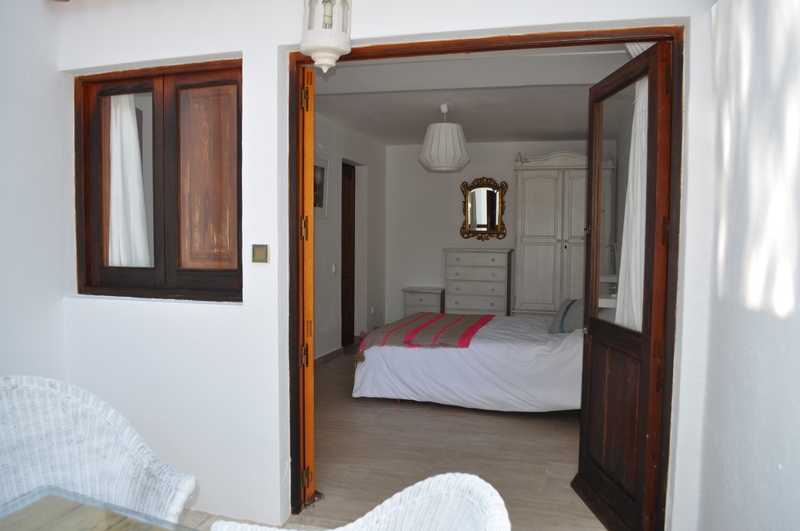 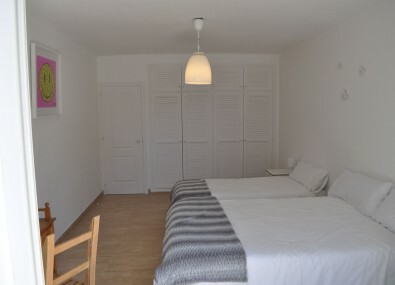 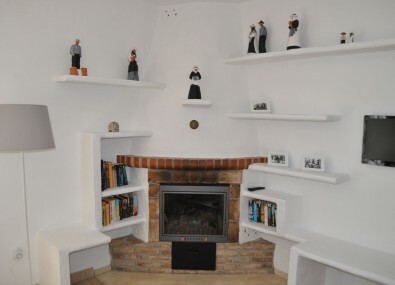 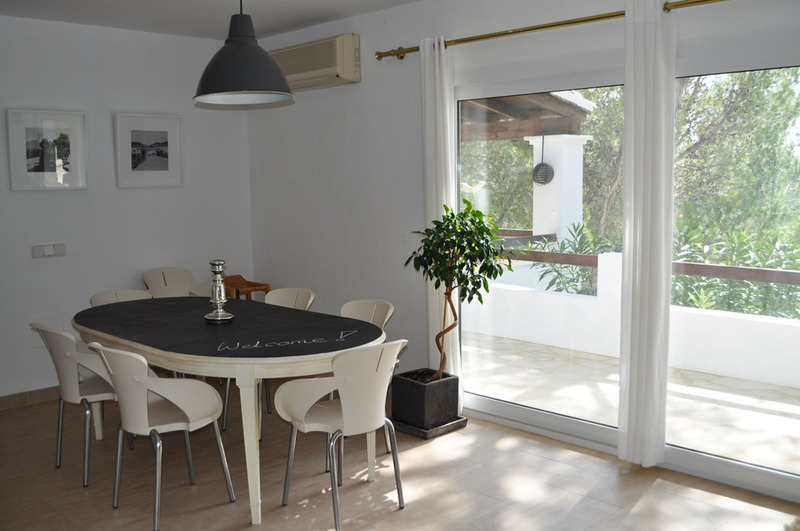 The Ibiza Villa studio apartment also benefits from its own kitchenette. 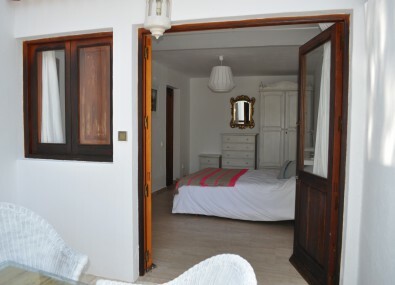 double bed, kitchenette, en-suite bathroom and fan. 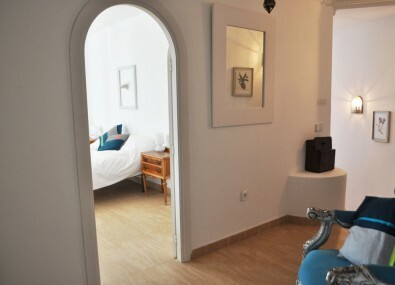 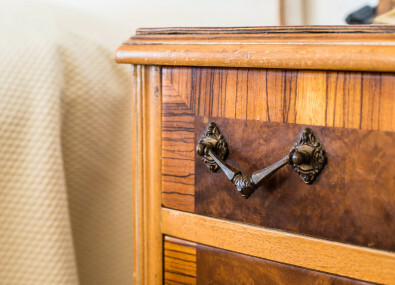 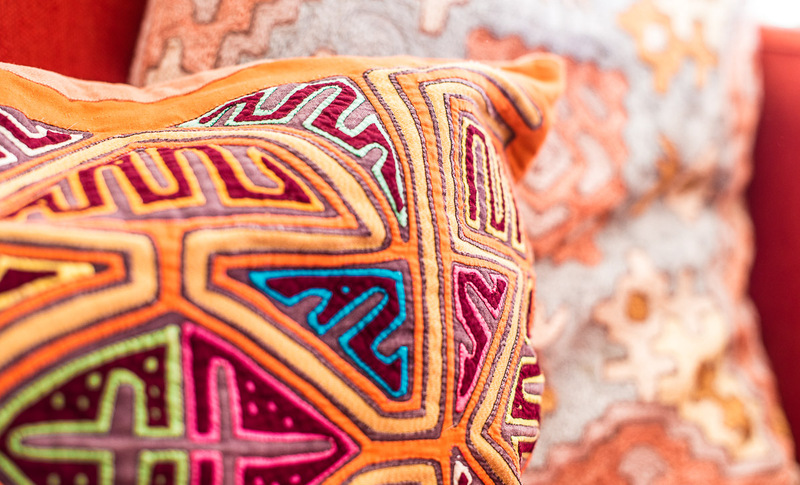 The bedrooms all have their own individual style combing an eclectic mix of vintage style furnisture, elegant lamps and soft luxurious bedding. 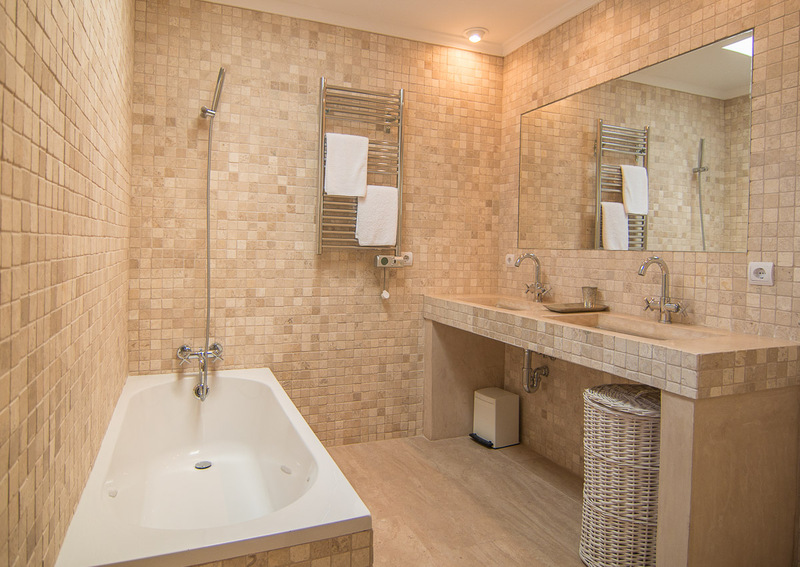 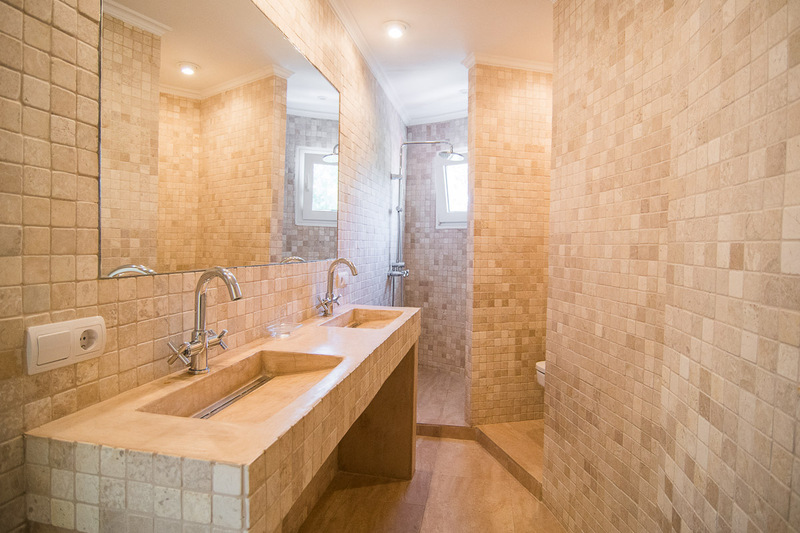 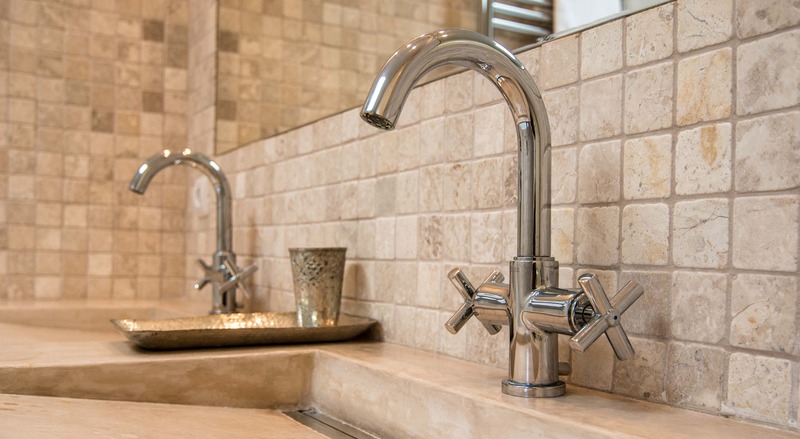 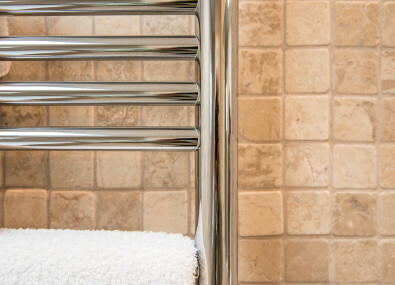 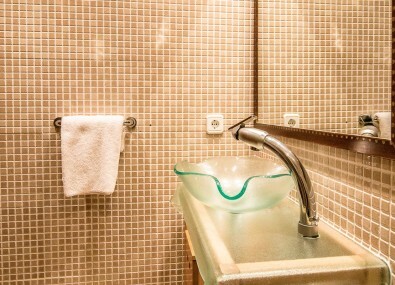 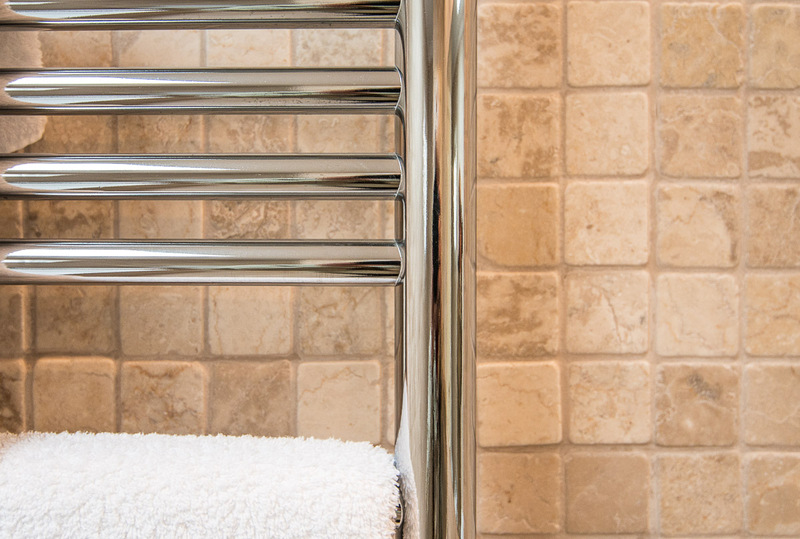 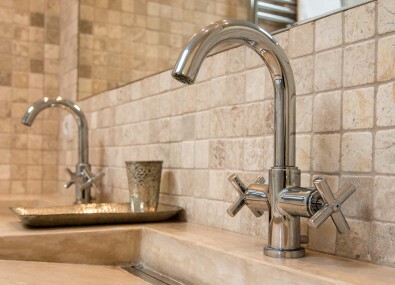 The bathrooms are all recently refurbished to a very high standard. 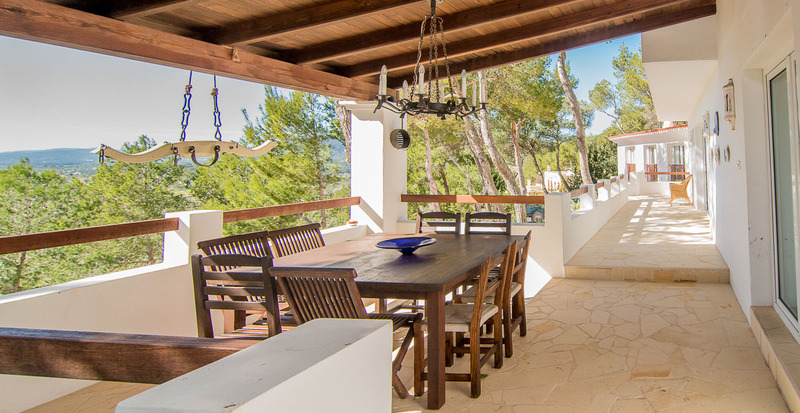 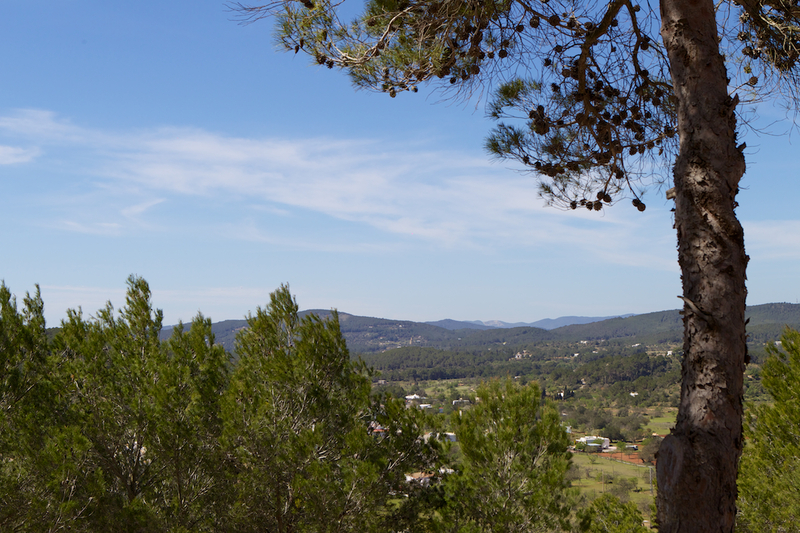 The views from this stunning Ibiza Villa have to be one of its most spectacular benefits. 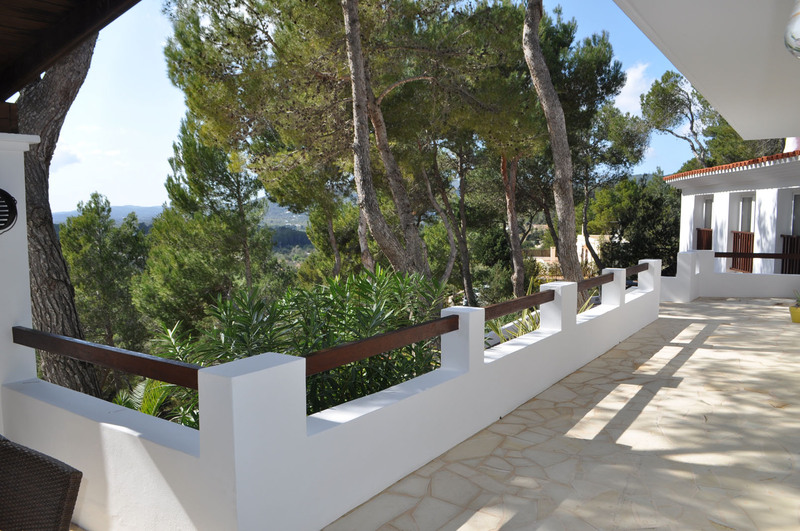 Stretching out for miles across the beautiful San Carlos countryside, they make it one of most amazing Villas in Ibiza to rent. 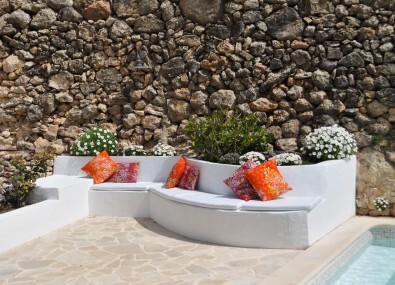 Sitting by the swimming pool in one of the large shaded seating areas, or absorbing some healing Ibiza sun is certainly the best way to forget about all your worries. 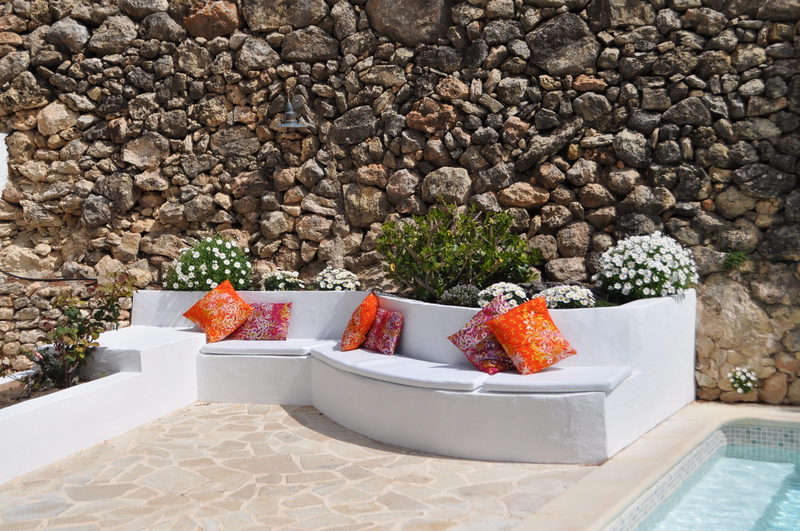 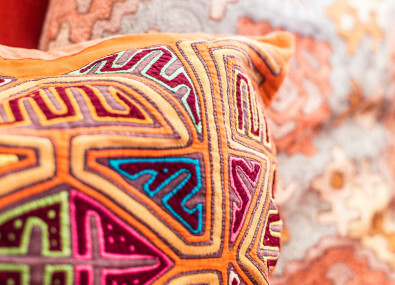 Ample sunloungers and pool towels are provided for your convenience and comfort. 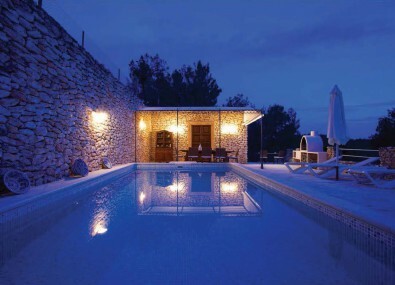 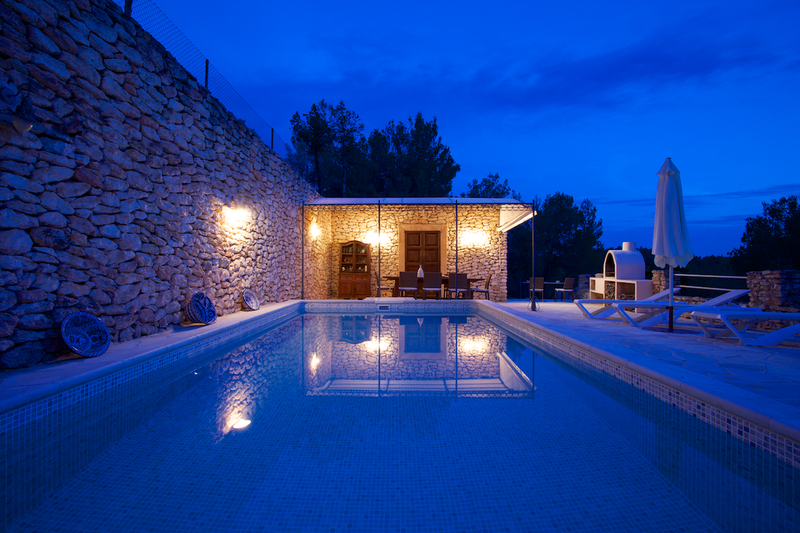 This Villa is not overlooked by any others, giving a great sense of privacy and seclusion. 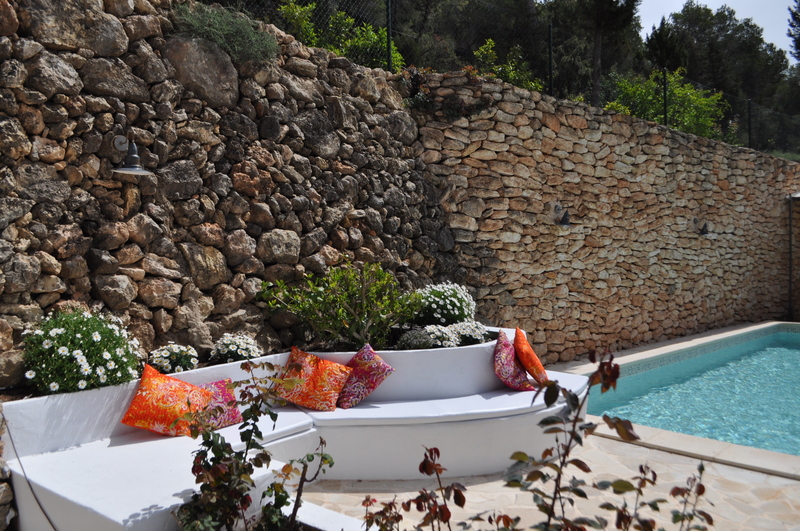 The colourful gardens offer a vivid display of plants and flowers and are carefully maintained. 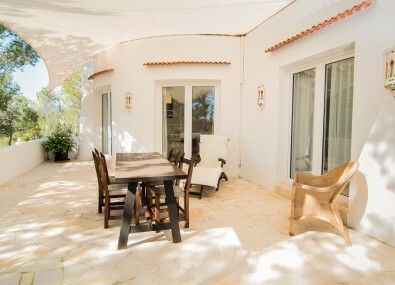 The Villas outdoor kitchen with purpose built BBQ just begs to be used for an impromptu gatherings or family dinners. 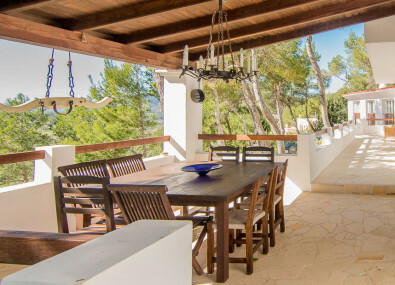 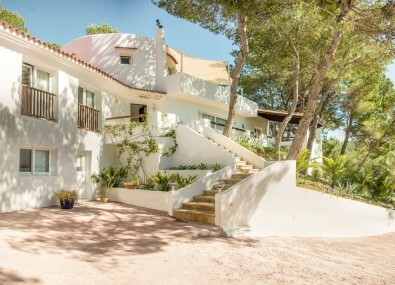 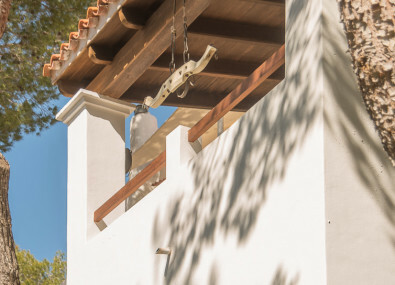 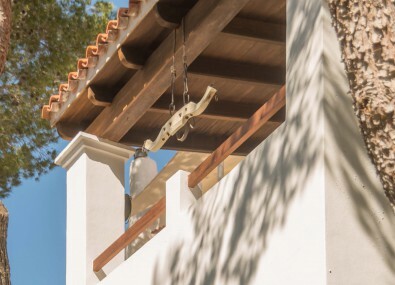 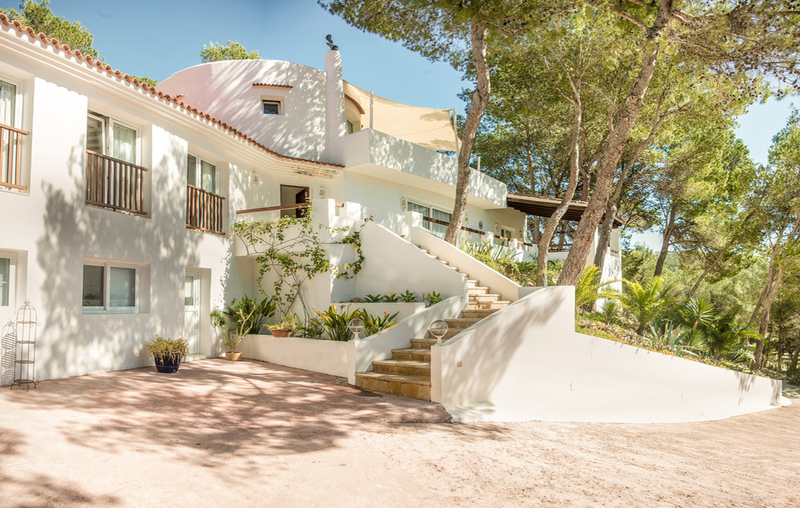 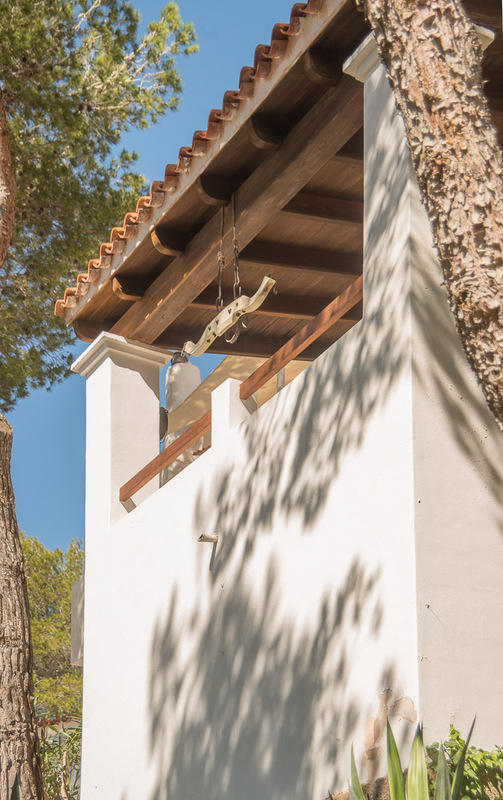 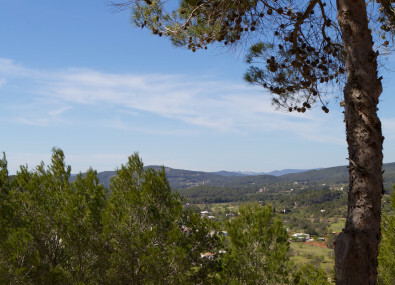 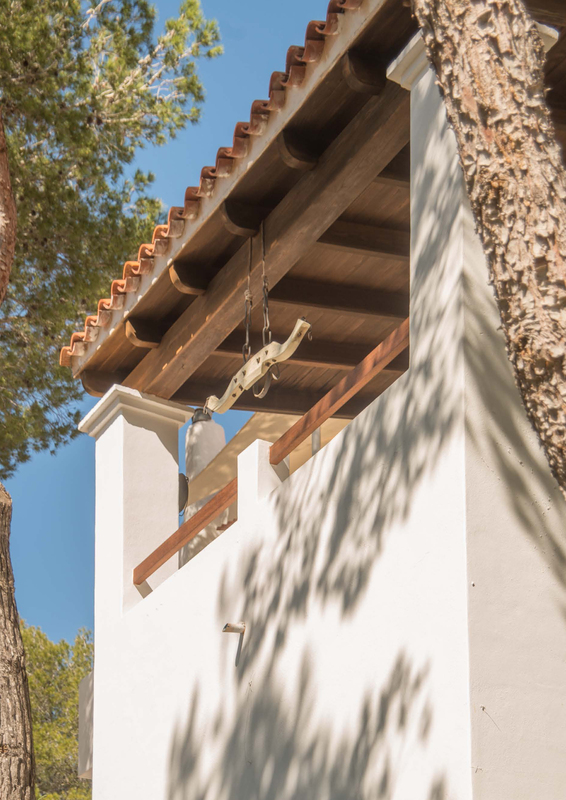 Villa San Carlos is quite simply an idyllic paradise set in the stunning countryside of Ibiza making it the ideal holiday home for families or large groups. 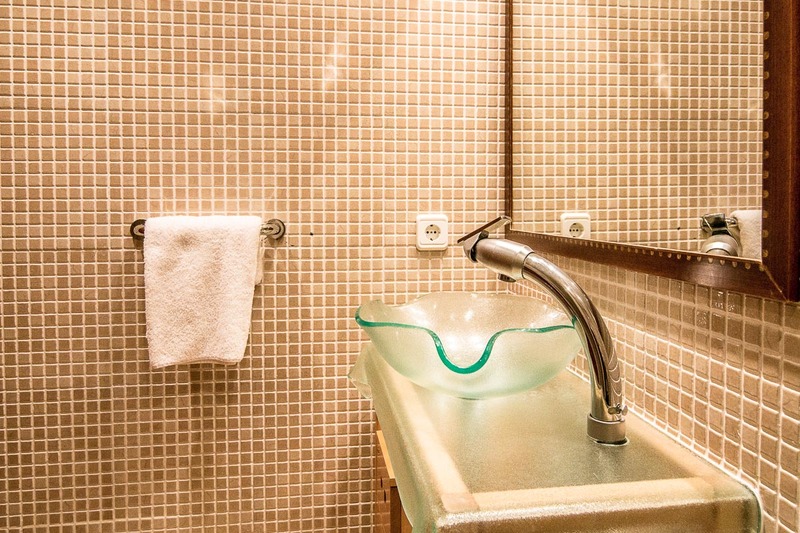 Utility room – washing machine, dryer, iron and ironing board. 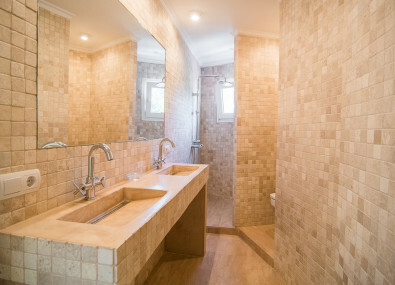 Close to village centre and all amenities.